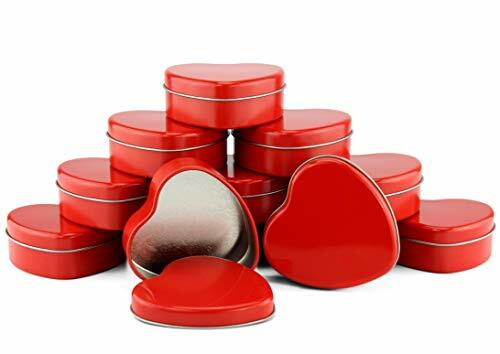 Say "Be Mine" with style with our elegant heart-shaped metal tins. View More In Storage Boxes & Organizers. If you have any questions about this product by Cornucopia Brands, contact us by completing and submitting the form below. If you are looking for a specif part number, please include it with your message. Hulless 3.75x2.45x0.8 Inch (12pcs) Metal Hinged Top Tin Box Containers,Mini Portable small storage containers Kit,Tin Box Containers,small tins with lids,craft containers,Tin empty boxes,Home Storage.